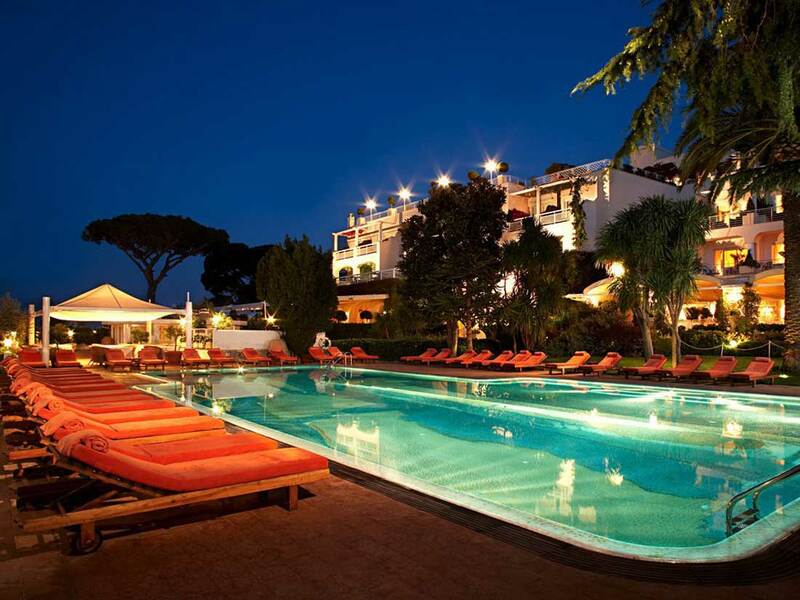 Capri Palace Hotel & SPA is located in Anacapri in the most authentic part of the island of Capri, at 300m altitude. The hotel is a main destination for travelers looking for refinement, relaxation (SPA) and a breathtaking view! This 5 Star luxury hotel has been owned by the Cacace family since the 19th century. A major renovation made it possible to beautify it thanks in particular to beautiful pieces of furniture such as Louis XVI furniture, a floor in travertine and faience, fabrics ecru and white walls. 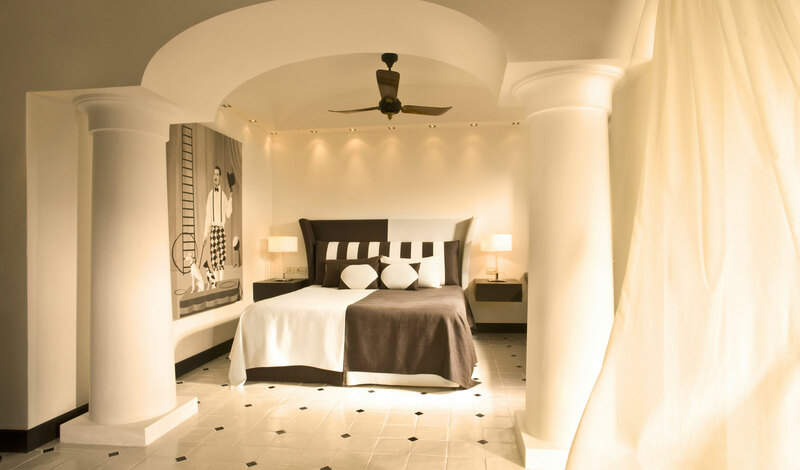 The Capri Palace Hotel offers 79 luxuriously furnished rooms, the travertine bathrooms are a constant reminder to a prestigious past that seems to relive in all its splendor. The most demanding guests will enjoy the 150 sqm Penthouse Suite with private pool and rooftop garden overlooking the Gulf of Naples, the 7 independent suites with garden and heated private pool. The suites are dedicated to great artists and immortal divas such as Maria Callas and Marilyn Monroe. To relax: The Capri Beauty Farm SPA, famous fully equipped fitness center, “Il Riccio Beach Club”, 2 restaurants including L’Olivo, artists’ bar, a shop, 4 meeting rooms, terrace on the roof, several boats for excursions and private transfers. Capri’s renowned shops, art workshops and tourist attractions are easily accessible from the hotel. A pleasant walk through the narrow streets of the island of Capri leads to the road leading to the Blue Grotto.